Amplifrons could be found in a salvia collectors garden in Australia, preferably a warm one. So far I haven’t found it to have enough merit to keep it. 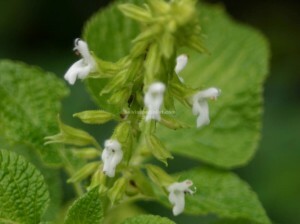 It has pale leaves and small white flowers.